(September 4, 2018) – Ag-Pak, Inc., Gasport, New York, has hired Juan Carlos Alegria as Field Service Technician. Alegria, based near McAllen, TX, will service Ag-Pak’s customers in South Texas, Southern US, and Mexico. In addition to field service, Alegria will assist with sales efforts in the region. 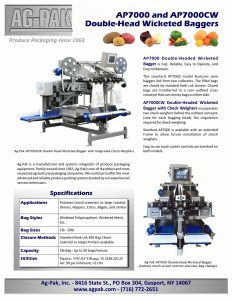 Ag-Pak, Inc. is a manufacturer and systems integrator of produce packaging equipment. Family owned since 1963, Ag-Pak is one of the oldest agricultural packaging companies in North America. 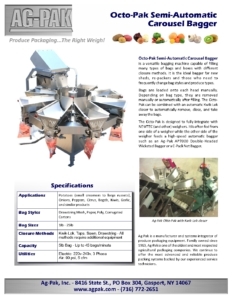 Its product lines include conveyors, weighers, bagging machines, and palletizers.